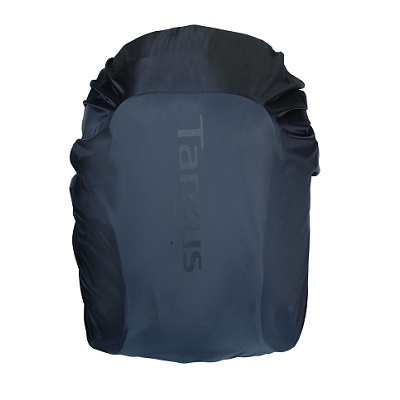 The Targus Terra Backpack is designed to protect up to 15.6" widescreen laptops. 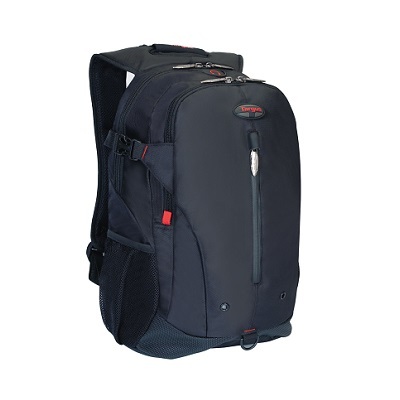 It is a compact, lightweight yet very robust backpack providing protection, functionality and comfort. The backpack features a built-in hidden rain cover and a water-resistant bottom to cater various weather conditions, including extreme humidity and rain. The laptop compartment and adjustable strap ensure a perfect fit for any laptop up to 15.6" W. The vertical front quick-access pocket is ideal to quickly grab the most needed items. 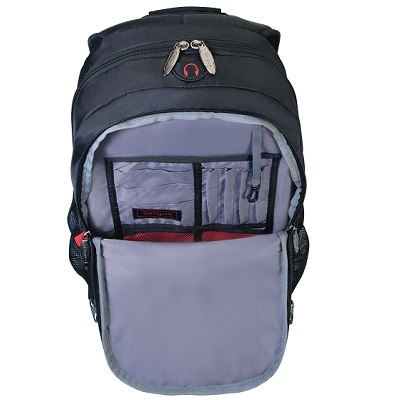 The dual-side mesh pockets can hold a water bottle holder, an umbrella, or anything you want to easily have access to. The headphone porthole and connected MP3 player pocket guarantees you can enjoy your music on the go. The workstation will neatly store your keys, pens, business cards, and more. 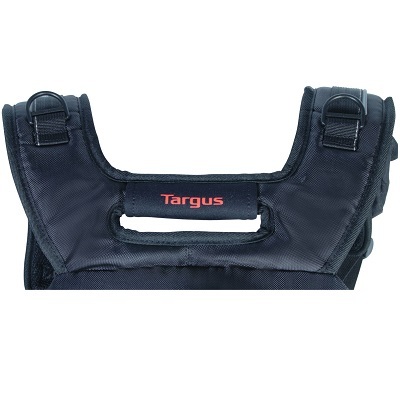 The padded back panel and contoured shoulder straps provide maximum comfort with functionality. 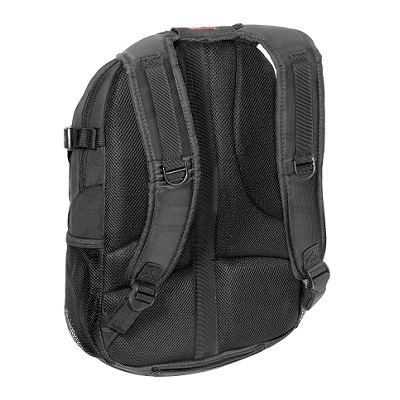 Red accents give the backpack a stylish and discreet look. Your laptop, documents and digital accessories are perfectly well-protected. This means total peace of mind, even in extreme environments.